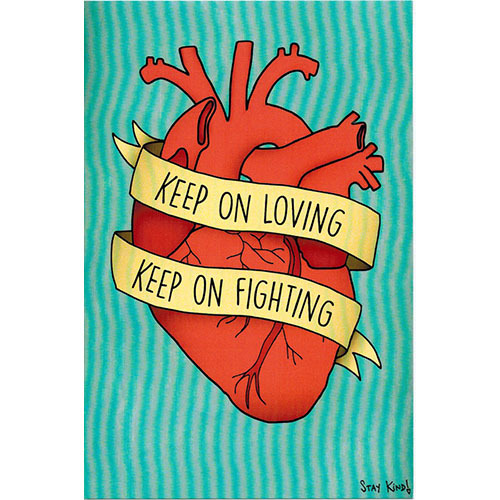 Keep On Loving Postcard - Stay Kind! Back to Published by SK! 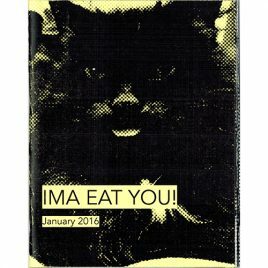 “Keep on loving, keep on fighting.” Printed on Kromekote glossy cover paper with a matte back, this is perfect for sending messages to friends, using it as a placeholder in the zine you’re reading, or keeping it around as a small reminder to yourself. By Dawn “Zilla” Graham.